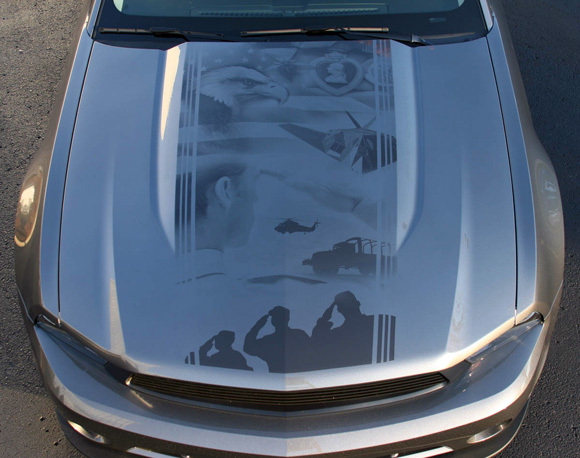 Think you have the eye for creativity and the art of fashioning a sensational 2014 Ford Mustang a la ROUSH? 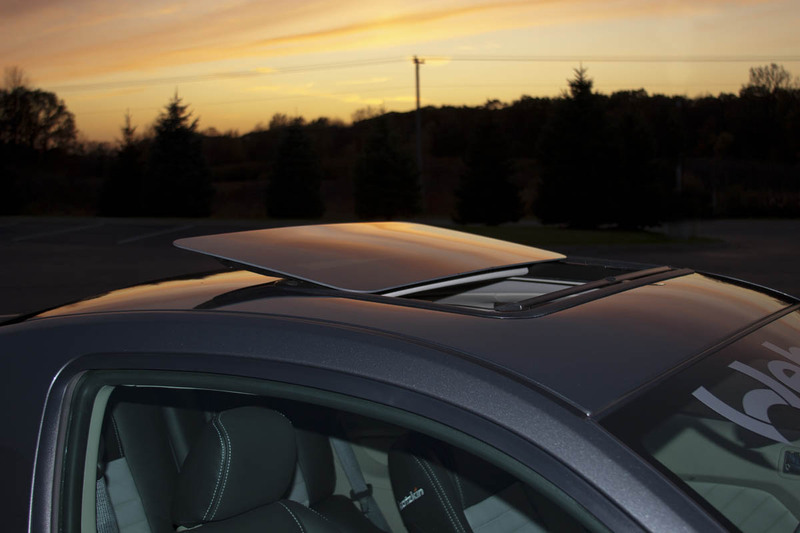 If so, then you are in luck, because with all of the customization offerings out and about in the Mustang realm, ROUSH Performance is adding their own online configurator to the mix. The ROUSH tool lets you start with either a 2014 Mustang coupe or a 2014 Mustang GT, then add on any little or big part your little twitchy fingers desire. Ford has their own 2014 Mustang configuration tool out there, also, if you haven’t already seen the official one from them. 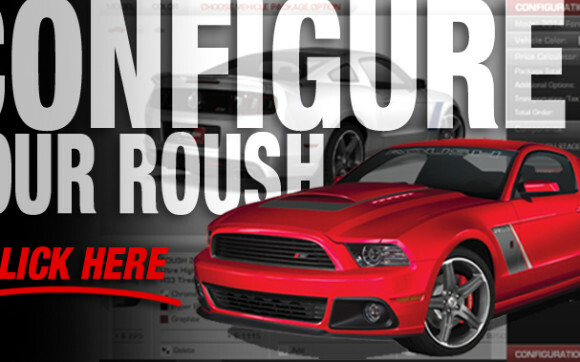 So go on, what’re you waiting for–get to clicking and customizing your dream ROUSH Mustang! As we inch closer to the Ford Mustang 50th Anniversary, we see the entire scene of rumor mills and the aftermarket start to buzz up with 2014 Mustang details. 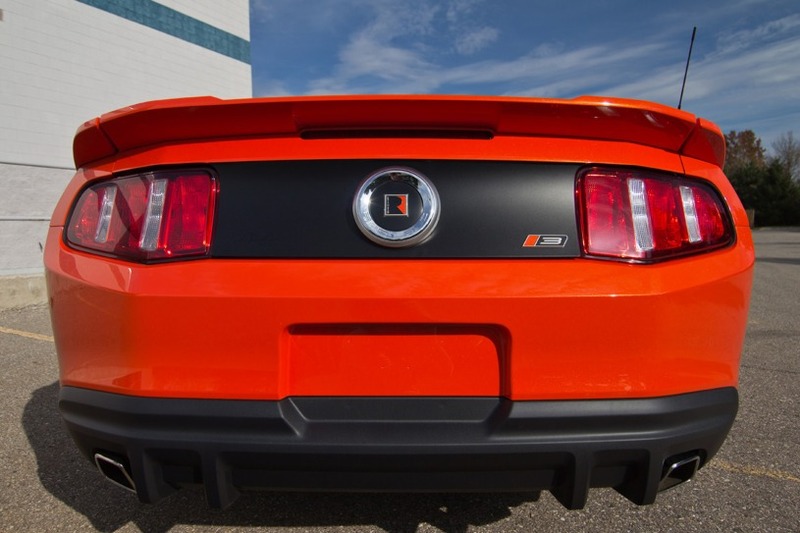 The latest scoop of the week is the official announcement (and details surrounding) the hot 2014 ROUSH Mustang lineup. 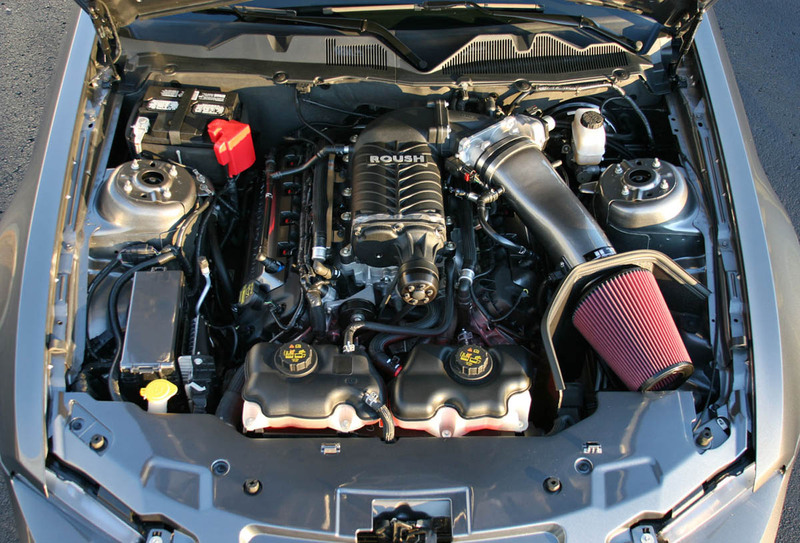 The RS, Stage 1, Stage 2, and Stage 3 Mustangs will take the field by storm by starting with a new 2014 Mustang and massaging them as is desired by customers into ROUSH Performance creations, backed by warranty, and produced by quality craftsmen. 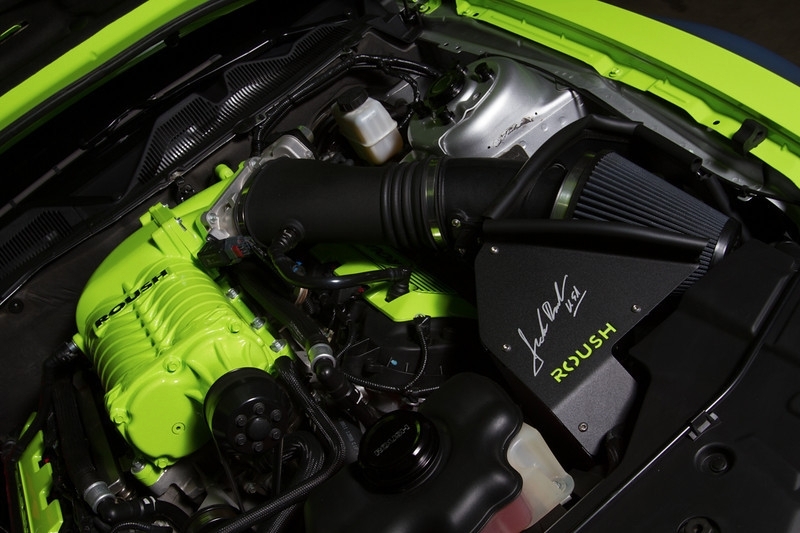 ROUSH’s 5.0-liter Mustangs which receive the R2300 ROUSHcharger setup are going to pump out a staggering 575hp and 505 lb-ft of torque…more than enough to get the rubber transformed into powder on the pavement. That being said, this latest round of ROUSHs is going to also maximize efficiencies, reduce weight, and make the experience one that is totally drivable and durable, regardless of being at the track or on the street. The crew at ROUSH has also upped the ante this time around by included 2 new options for customers to include: an optional X-Brace for increased body rigidity and also a rear seat delete. 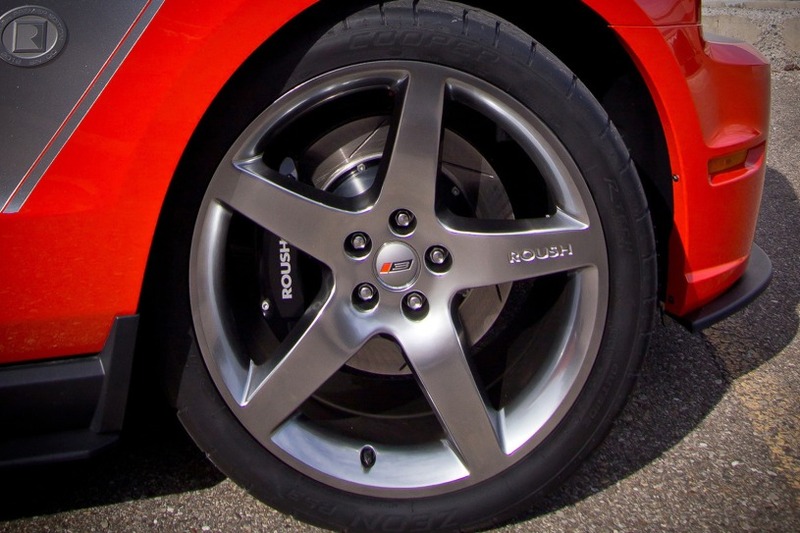 Also, as is customary with all late model ROUSH Mustang instances, expect to see the 5-spoke, chromed signature wheels, wrapped with beefy Cooper RS3 rubber. Add in some awesome new looks with the aero body package, lots of graphics colors to pick from, and there should not be anyone out there that says “I just don’t like my ROUSH.”. 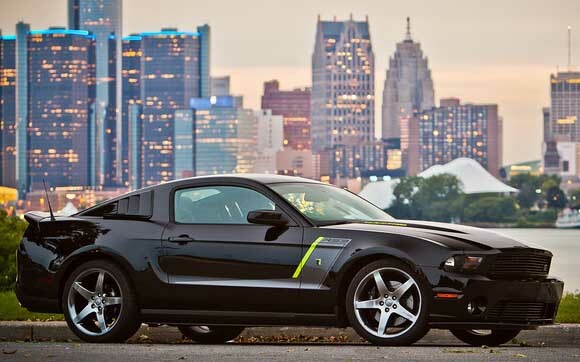 Keep reading to get the entire story on what to expect from the 2014 Mustang a la ROUSH. In case you missed it, the ROUSH Performance #61 took top-spot on the podium at Daytona a few weeks back, and this weekend, the team is hoping to repeat the feat in Austin, Texas. For the first time in the Grand-Am series, the race will be held at the new Circuit of the Americas race track, designed and constructed for the Formula 1 U.S. Grand Prix. The field will be leveled with everyone being a newbie at this one, folks. ROUSH #61, piloted by Jack Roush Jr and Billy Johnson, is ready to pattern the corners of the novel 3.4 mile, 20-turn road course in hopes of leading the pack and continuing to rack up the points for the season. This video shows a couple of practice laps by Jack Jr in the ROUSH Boss 302R on the Circuit of the Americas, laying tease ahead for what is to come on March 9th, 2013 @ 4pm EST…the race itself. 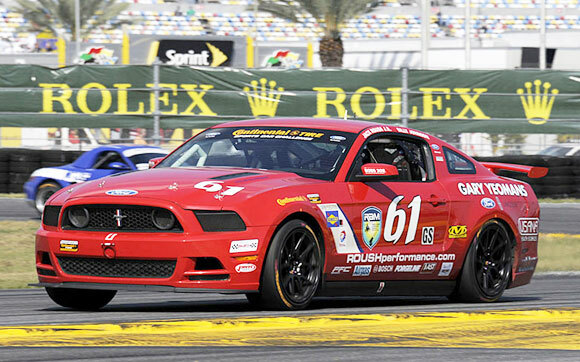 The ROUSH Performance #61 Ford Mustang is once again atop the podium, and this time, it’s at Daytona to get the Grand Am Continental Tire Sports Car Challenge season going to full speed. Jack Roush Jr and Billy Johnson took #61 to their second consecutive win at Daytona, ahead of some serious European contenders (Aston Martins, Porsches, etc). That’s funny…we here at StangNet HQ were reflecting about how the Top Gear trio of hosts were just bagging on the GT500 (and many other American cars) in this past week’s episode. Funny how a simple American pony car has two wins under its belt in two years, over a myriad of European makes. Interesting food for thought, huh? Anyway, enjoy the racing action breakdown in the Press Release which follows, everyone! 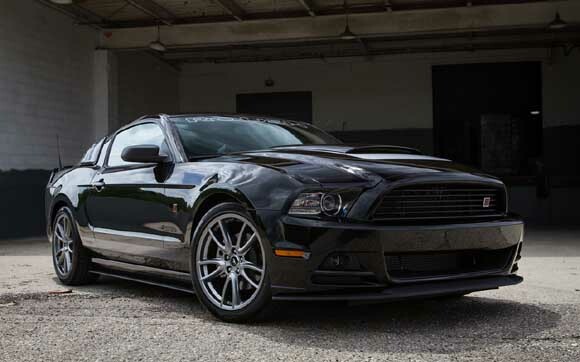 Performance figures aside, this latest Roush installment isn’t too hard on the eyes, either. A unique coat of paint, lots of exterior & interior trimmings, and of course the Roush applique to spice things up, all factor in to make this 700hp / 585tq Mustang a serious contender in the aftermarket. After all, there are Shelby Mustangs pumping out over 800hp, so it’s time to keep field full of players! Curious to know more? Keep reading to get the rest of the story from Roush. 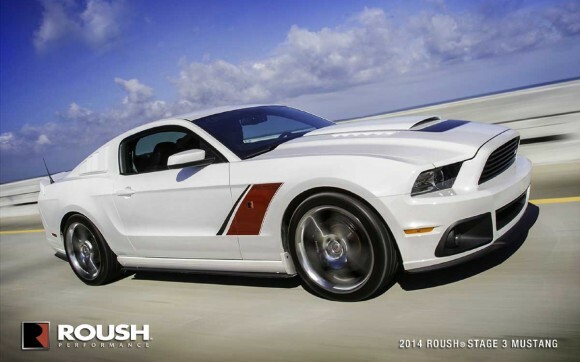 ROUSH Performance has another flavor of the month to add to its stables of Ford Mustang tuners. The 2013 Ford Mustang V6 now gets some TLC from the ROUSH crew and the treatment results in the latest performance installment, dubbed the 2013 ROUSH RS or “ROUSH Six” Mustang. With the core of ROUSH’s Mustang fleet focused upon performance, muscle, and lap times, the ROUSH RS Mustang tees up a new concept which the market tends to be leaning toward…performance (shaken, not stirred) with a twist of economical smarts. 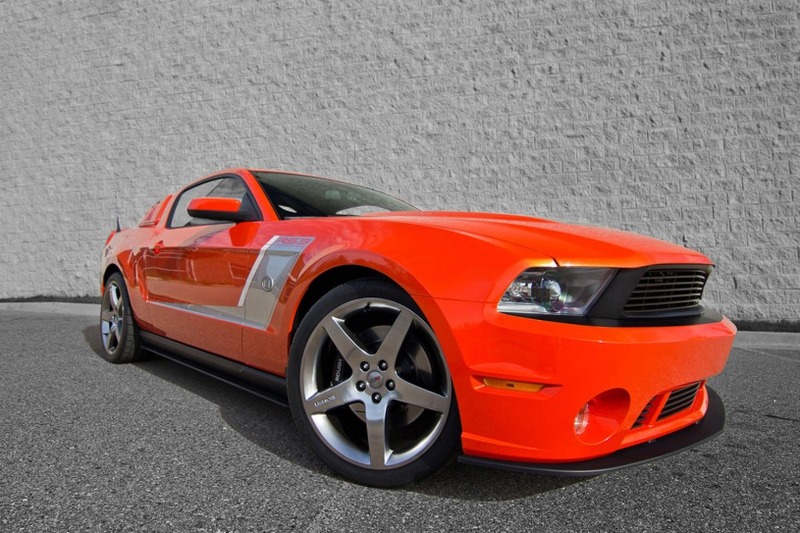 The ROUSH RS Mustang V6 package carries a price tag of $4,000 and boasts numerous chassis, braking, and cosmetic improvements to take the Mustang coupe and give it some serious flair and panache. 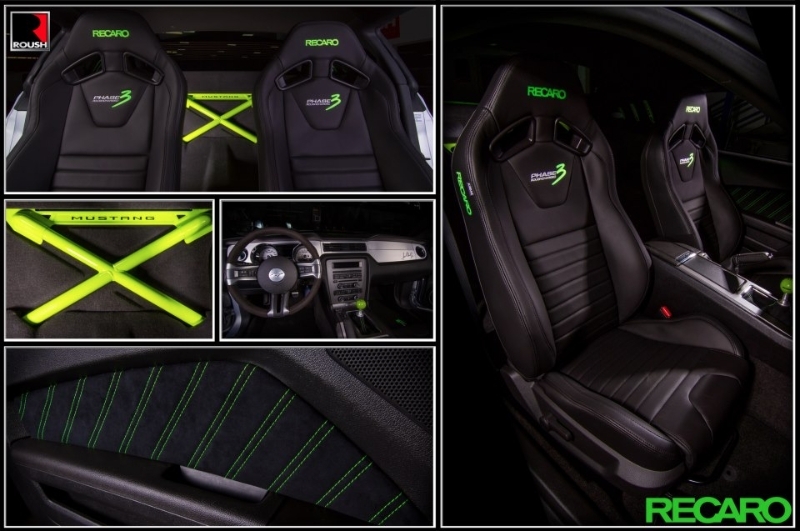 It doesn’t stop there, either–the interior of the 2013 ROUSH Six also gets embroidered floor mats, performance foot pedals, and the typical ROUSH badging around the cabin. 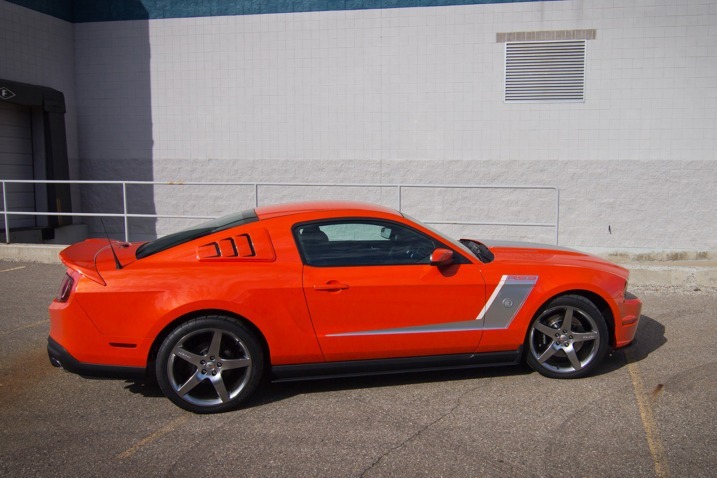 So just what else is in store on this latest ROUSH installment? Keep reading to get the full scoop in the Press Release, following. 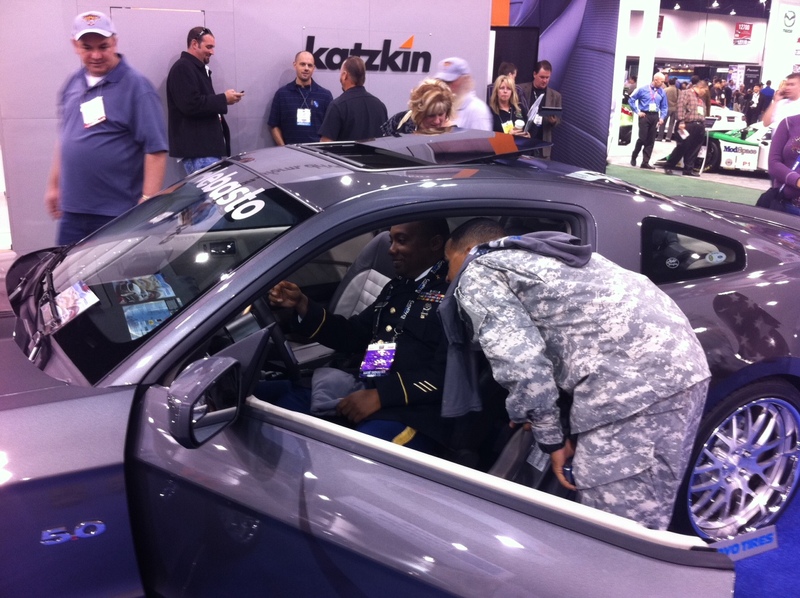 There were many flavors of the Ford Mustang found at the 2011 SEMA show in ‘Vegas…but few leave you with a true sense of respect, honor, and nostalgia like one to tribute the fallen and wounded in the United States of America’s Armed Services. Aftermarket players Webasto and MRT Performance partnered on a new Mustang to pay homage to the Fallen and Wounded Soldiers Fund (FWSF)–a support initiative that reaches out to all branches of the US Military in order to help cover medical costs, transportation and other various financial needs. 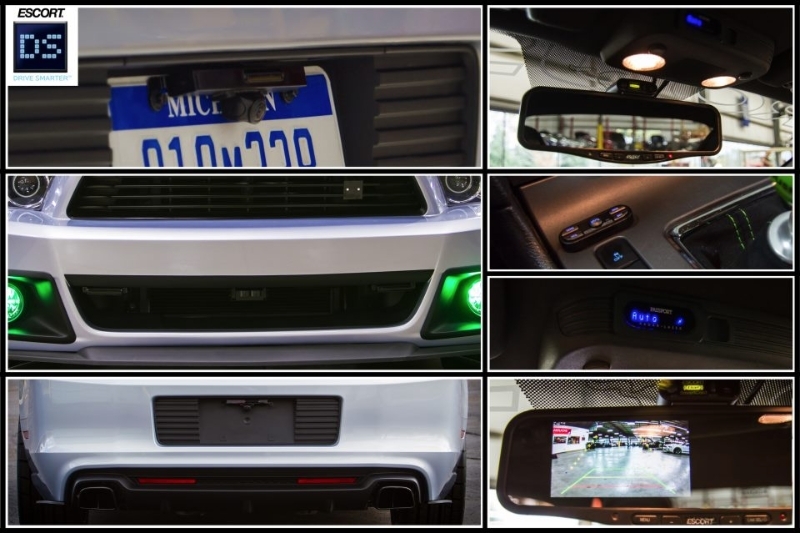 Keep reading to see all of the (numerous) add-ons and goodies this awesome Ford Mustang has. 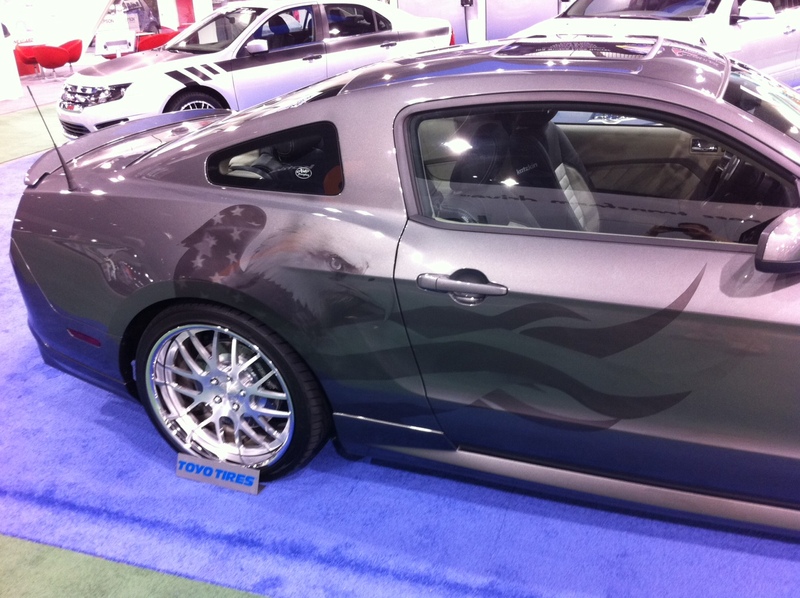 Yesterday, Jack Roush unveiled the 2012 ROUSH Stage 3 Premier Edition Ford Mustang in partnership with Sherwin-Williams at the 2011 SEMA show in Las Vegas. 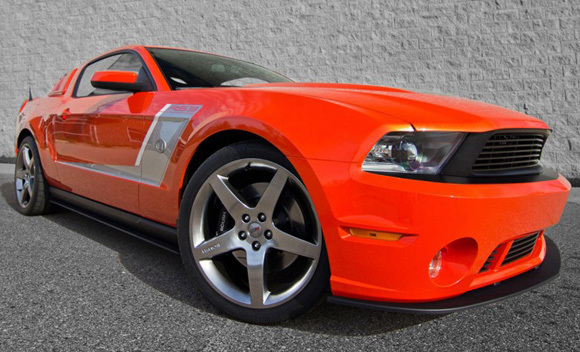 The cat in the hat, along with Roush-Fenway Racing driver David Ragan, let loose a spectacular orange hued 2012 Mustang featuring choicest colors of the pallet. The 2012 ROUSH Stage 3 Premier Edition on display is Roush Performance’s latest aftermarket installment in a series of Stage 3 Mustangs that will be offered until 12 fantastic Sherwin-Williams Planet Color® options for the primary color, with graphics and accents in any other desired shade. Keep reading to get the rest of the story in the Press Release, following. Looks like there is another 2012 Ford Mustang to hit the streets, based upon the already awesome ROUSH Stage 3 (RS3) Mustang crafted by ROUSH Performance. 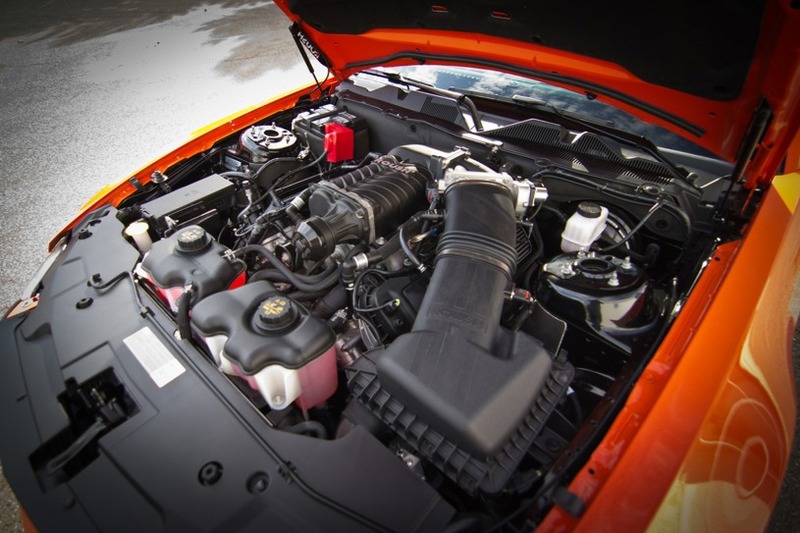 This 2012 Mustang “Hyper Series” Stage 3 boasts a whopping 540hp and 465ft-lbs of torque, has a fully-tuned suspension capable of pinning over 1G of lateral force, and of course, continues to follow in the steps of warranted craftsmanship we all know well enough from ROUSH Performance products. Keep reading to get the rest of the story in the PR, as well as a peek of the ROUSH Stage 3 Hyper Series in an official video.